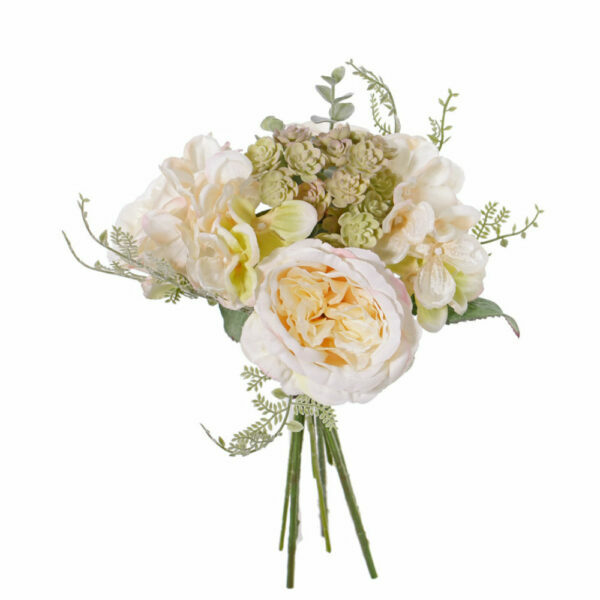 Here we present our Artificial Rose and Hydrangea Bouquet, in Cream colours. We feel this offering would make a perfect bouquet to cheer up a dreary winter or to be ready for welcoming Spring. 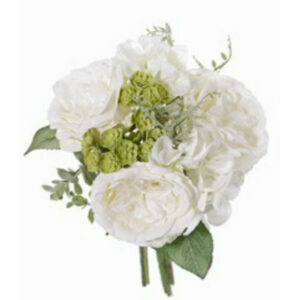 With its mix of roses, hydrangea, echeveria, arranged together for a soft bouquet, it would look beautiful in many settings. 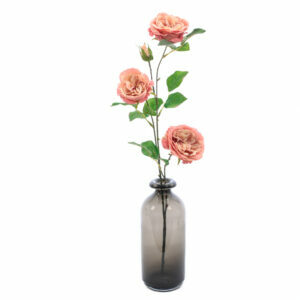 Our bouquet measures 25cm x 25cm and would make a lovely arrangement at home or as a present.